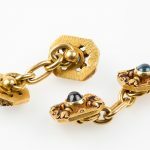 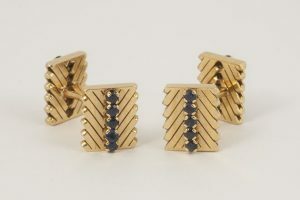 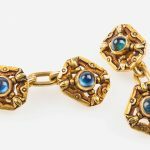 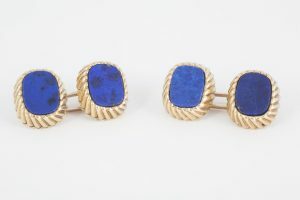 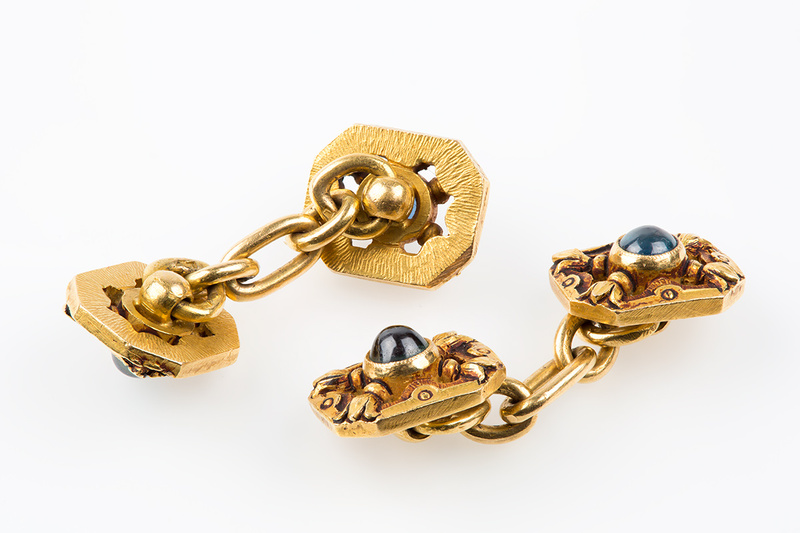 A heavy quality pair of antique cufflinks in 18 karat yellow gold. 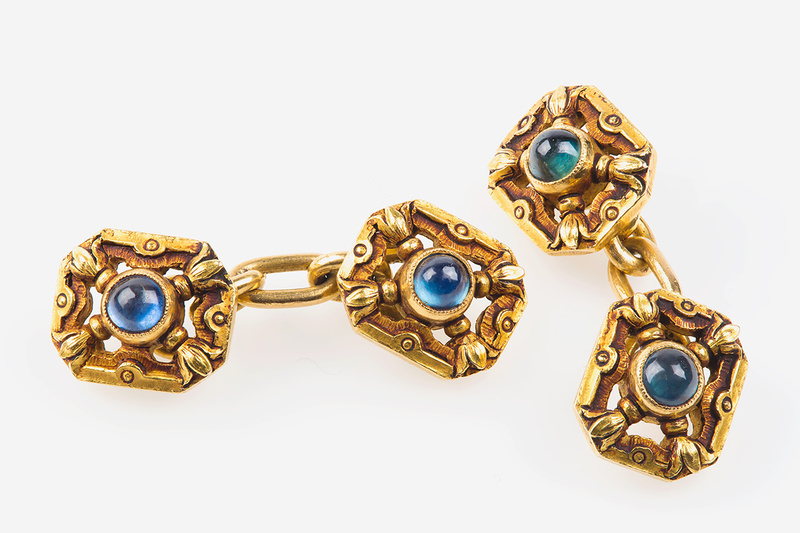 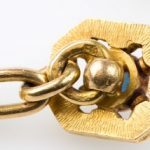 The links are double sided with a floral design in openwork form and a central cabochon sapphire. 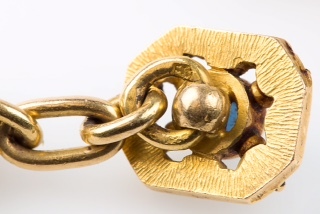 They are cut cornered oblongs in shape with chain link connection and French marks. 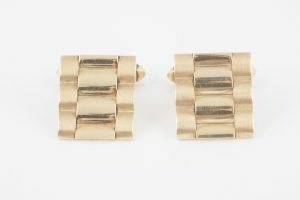 Measures 12mm in height x 9mm in width. 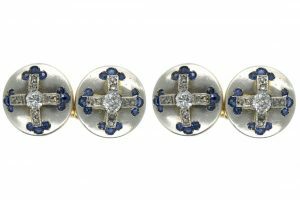 Turn of the 20th century, French circa 1900.